What is a 3D map? 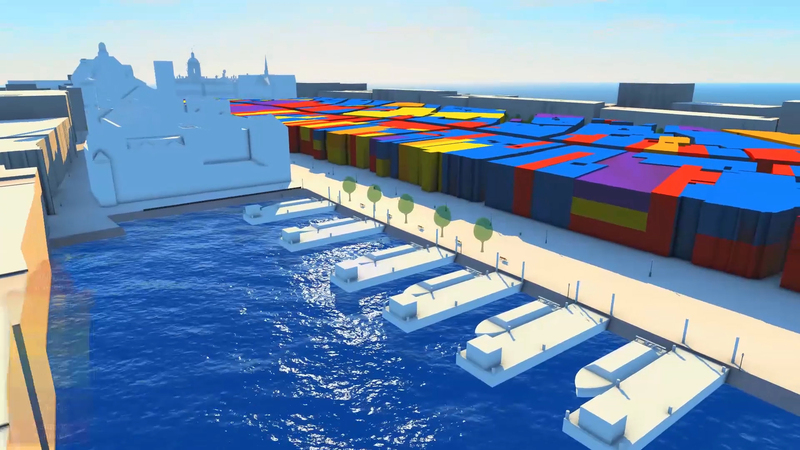 A 3D map is a digital image, video or web model based on certain data, usually implemented into a 'real' surrounding. It's possible for 3D 'maps', or products to mimic reality so well, you'd think your watching a recording. The structure these maps are based on, comes from a relief file. in which 'BAG data' and/or 'Top10 NL' data is projected. That way, a very precise technical drawing can be made in which all buildings, carriageways, pavements, trees, lampposts and more are projected. 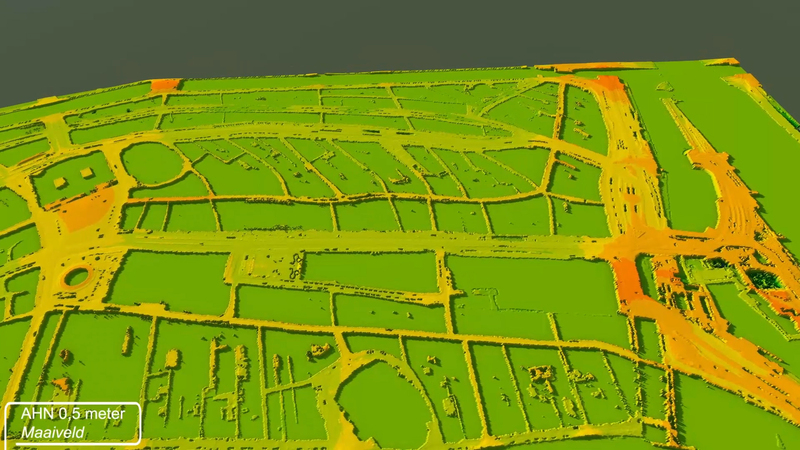 "Visualizing data is an understatement when talking about 3D Cartography"
When we go one step further, we can show the height of buildings and/or other objects in the map with the aid of a 'point cloud file'. There's also the possibility to provide buildings with a realistic appearance, using 'Autodesk Revit'. 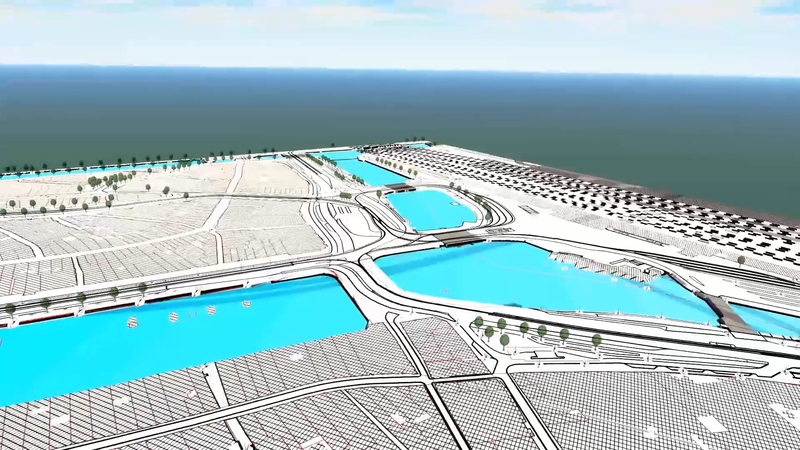 When saving time, or meeting budget needs we can also use Sketchup models. The demo above covers the city center of Amsterdam. 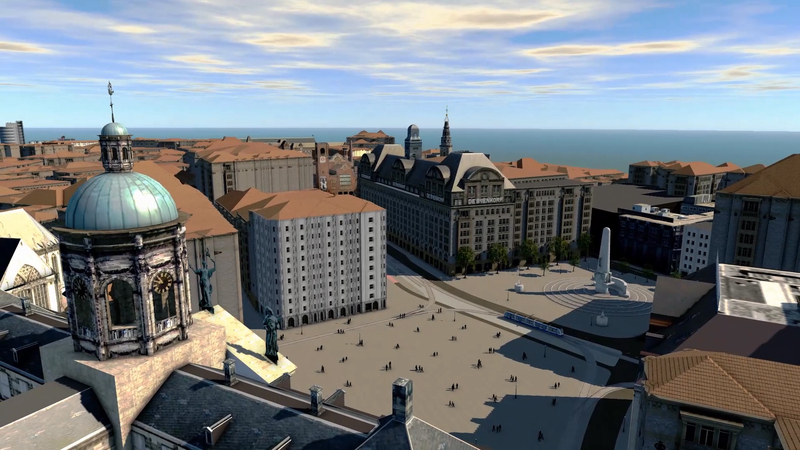 The area from Dam Square to Central Station is shown in five different aspects. 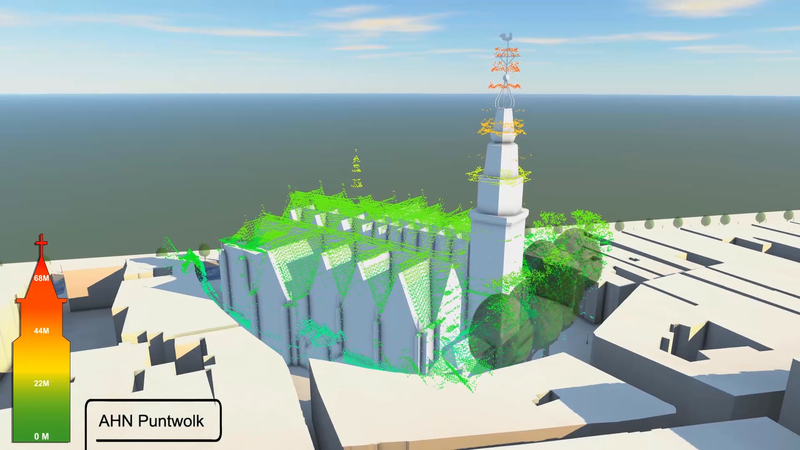 Three-dimensional GIS data, an AHN point cloud, a technical drawing, overview of an AHN ground level and finally a hyper-realistic representation of Amsterdam. In particular the clear, visual and accurate display of technical drawings and realistic 3D models is an area of expertise we're versed in well. The low-threshold price of these projects in particular makes it interesting for all companies. The advanced products that we describe here are particularly interesting for city planning departments of municipal or engineering firms that want to outsource work. Landscape architects and everyone else who is active in the field of spatial planning may find these products useful. Our way of working alows for three different end products that may be built: high quality images, videos or a web model. This last product can be viewed by means of an obtained URL. This model can be viewed on the internet from each possible angle.